It’s not the things you see that make modern design great, but it’s the things you don’t see. Inside the house, this is most (least?) apparent in the trim on doors, windows, and baseboards. This post is about doors. I’ve always loved the clean look of flush-mounted doors but on initial research I was afraid that they were out of reach until I found EZY Jamb. Find the door in this picture. 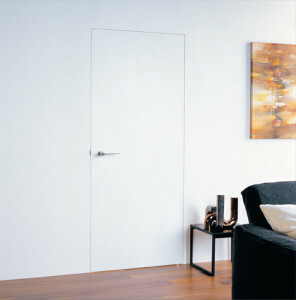 Most of the flush finish door options out there are from those makers of all things sleek and modern – the Italians. The trouble is, like most things Italian, they’re also expensive. One of the few websites that actually publish pricing is Modern Doors Direct. A 36″ door and frame runs about $1,300 and up. I have no idea if the company is actually still in business or not, the copyright date on their website is 2008 but if their price list is anywhere near the ballpark for Italian aluminum-framed doors they’re way outside of our price range. Most companies don’t even publish prices. A good rule of thumb is if you see a “request a quote” link anywhere, it’s probably expensive. The pleasant exception to this rule is EZY Jamb. 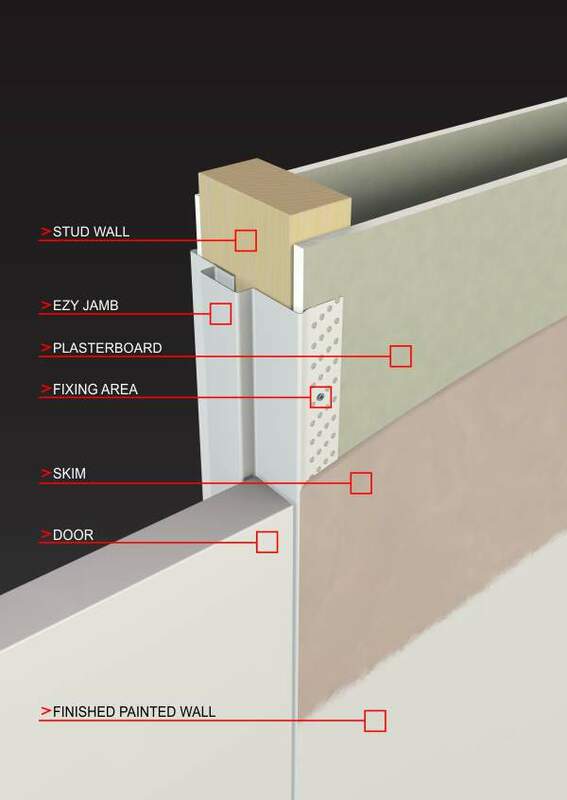 EZY Jamb is a steel door jamb with integrated drywall bead from Studco Building Systems. What this means is instead of installing a traditional wooden door jamb and then covering the gap between the jamb and wall with trim, the jamb wraps around the wall over the drywall and is taped and mudded much like any other outside corner. The result is a flush finish door jamb. Our general contractor sent them an e-mail to get a quote. Not only did it come in at an affordable $4,000 for all of the interior door jambs in the house, but they were easy to work with. For what it is, it’s a steal. 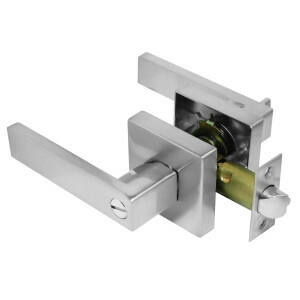 The SOSS hinge option doubles that amount which, to us is not worth the cost especially considering that they require much greater care (more time and labor) to install. The plan is to use standard paint-grade hollow-core wooden doors and paint them to match the walls. This will result in a super-clean look where the doors practically disappear into the wall. There’s actually a cheaper way to achieve a similar look. The guys over at the Build Blog describe how they do it using a standard wooden door frame and drywall bead. 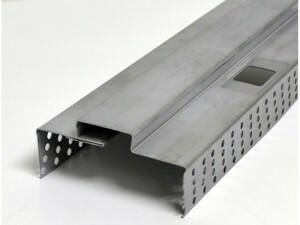 They essentially make something similar to EZY Jamb on site. Two things worry me about that approach, first it may be prone to cracks and splitting of the wood vs an all steel jamb, and second it requires more labor to install and attention to detail. For door hardware, we’re going with the Jako 9807PS-SN. I’m excited to see these go in though it will be a while. I’ll definitely report back with the results.